From The Simpsons through to Tim Burton's latest movie Big Eyes, Danny Elfman is one of Hollywood's most in-demand composers. 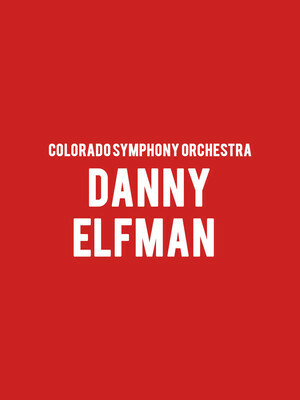 Why See Colorado Symphony Orchestra - Danny Elfman? Colorado Symphony Associate Conductor Christopher Dragon leads the ensemble through a cinematic weekend program featuring the music of Bernard Hermann, Maurice Ravel and Danny Elfman. Things set off to a blistering pace with Hermann's Suite from Psycho, an iconic moment in film score history thanks to his angular melodies, haunting harmonies and a string arrangement, evoking an instantly recognizable black and white film in sound as well as the legendary shower scene from the feature film. This is followed by a Ravel's Mother Goose, a ballet suite that depicts a host of fabled fairy story heroes including Tom Thumb and Sleeping Beauty. 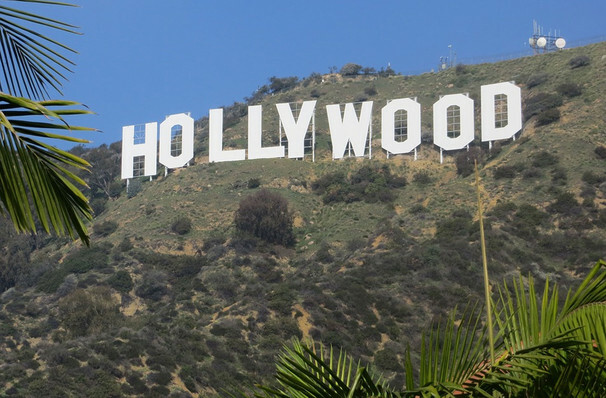 Ravel is credited with having influenced generations of film composers. The program comes to a close with Danny Elfman's brand new Eleven Eleven Concerto for Violin and Orchestra, during which special guest violinist Sandy Cameron will take to the stage. An up and coming young performer of immense talent, Cameron is a regularly featured soloist in Danny Elfman's Music from the films of Tim Burton concerts. Sound good to you? Share this page on social media and let your friends know about Colorado Symphony Orchestra - Danny Elfman at Boettcher Concert Hall. Please note: The term Boettcher Concert Hall and/or Colorado Symphony Orchestra - Danny Elfman as well as all associated graphics, logos, and/or other trademarks, tradenames or copyrights are the property of the Boettcher Concert Hall and/or Colorado Symphony Orchestra - Danny Elfman and are used herein for factual descriptive purposes only. We are in no way associated with or authorized by the Boettcher Concert Hall and/or Colorado Symphony Orchestra - Danny Elfman and neither that entity nor any of its affiliates have licensed or endorsed us to sell tickets, goods and or services in conjunction with their events.